Elroy Smith has always been a larger-than-life figure in our great industry. He was one of the first people I met when I started in the industry when he invited me to the table to eat with industry notables when I was in my early 20s at a Jack the Rapper convention in Atlanta. I was dead broke and had left my job as a waiter at the (then) new Marriott Marquis in Atlanta a few months prior. I quit that job and my pay was cut into a fourth of what I was making as a waiter at WIGO. I making a paltry $210 a month. My rent was $350.00. I snuck into that convention, I was young, poor and thrilled to be on a journey into the music industry but I felt incredibly out of place sitting with the people that I had seen in the trade magazines while working at WIGO. The late Nate Quick and I nicknamed the station “Nam” (as in Vietnam) and I almost quit the industry by working there before I really got started, but the trade magazines that were sitting around the station gave me insight into the industry most notably “Jack the Rapper.” Sitting at that table, I felt like I was sitting with a bunch of stars and Elroy treated me just like he treated them and I never forgot that. You have really been very laid back over the last few years. What happened? Kevin, you are right about me being laid back in recent years. The San Fransisco market has consumed most of my time as I have been laser-focused in understanding such a diverse market that I have ever programmed. I have been in the Bay Area for almost three years. 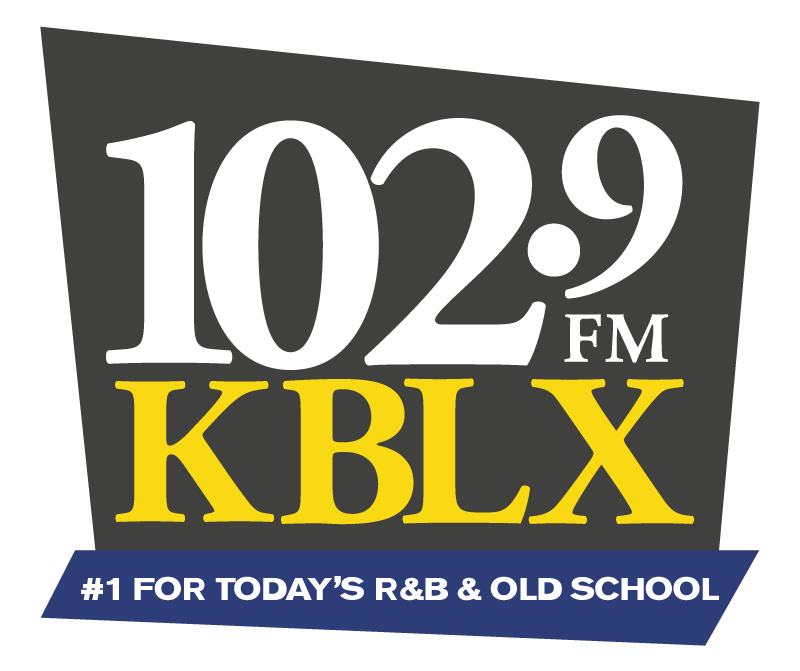 The last year has seen a sudden surge and injection for KBLX. Through continuous studying this market, we finally have positioned KBLX to be a contender in The Bay Area. We have a healthy weekly cume now-over 600 thousand listeners instead of a cume in the upper 400 thousand. How do you like the SF market? Prior to coming to San Fransico to interview for my current job, the last time I was in The Bay Area was for a radio conference in the late ’80s and I never left the venue where the conference was held. Therefore, I had no idea what The Bay Area was like until three years ago. I said to myself that San Francisco has a feel like downtown Chicago, the other city that is dear to my heart. I am so grateful that God gave me this opportunity to program such an iconic radio station. After almost two months of being in the Bay Area, my wife made it clear to me that she does not want to move again. My family and I are making the Bay Area a place that we cherish and hope to be here for many years to come. Furthermore, working for a company that loves their employees like BONNEVILLE INTERNATIONAL, it is clear to me that this where I should be. What are your thoughts on the future of radio? Well Kevin, according to Nielsen, ninety-three percent of the country tunes into radio every week. With that said, as long as commercial radio continues to evolve, I believe that this medium is in good shape. According to Deloitte Insights Report, “…..radio is not going away, and it should be a big part of the ad mix for those buying advertising…” The report also states, “…driving around in a car and listening to music, news, and a loudmouth DJ is still very much part of the US cultural fabric in 2019.” CNN reports – for the most part – the same news stories or commentaries all day long. However, what it all boils down to are the hosts. Don Lemon’s angle is always different from Chris Cuomo and Chris Cuomo’s views will be juxtaposed by Poppy Harlow’s opinion. This formula is reflected in radio. How our on-air personalities find ways to deliver similar subjects that our competitors talk about. My morning show Dream Team co-host on KBLX-Tony Sculfield’s unique views on current events humanizes the topic instead of relaying it in a dull or common manner. What about the current talent pool of jocks? You’ve been in the business for quite some time and you may remember back in the day, the number of people gushing to get into radio was expansive. To date, I do not see the same type of vigor or interest. This lack of desire has to do with programmers not making radio stars anymore. I am in a fortunate situation at KBLX, SF. I have a team of people on the air that thrive on making themselves better every day and they are always excited to help and nurture new talent. Have you considered looking at Podcasters as potential jocks? There is one podcaster that I am enamored by. His name is! On second thought, I won’t say because he is on my radar if ever the appropriate opportunity should come along. This podcaster is entertaining, topical, engaging, amusing and relatable. That is all I’ll say about this mystery podcaster. Who would you consider to be your biggest competitors in the market? The two stations that we share a high percentage of the audience with is KMEL and KRBQ (Q102). Some programmers say “All” when you ask about the biggest competitors. Why are stations with different formats also important? No radio station should be ignored; however, a radio station can’t be all things to all people. Therefore, a focused strategy is key in a competitive market like San Francisco. How do you make your events different from the competing stations? If there is one thing that continues to be a feather in our hat at KBLX is our community involvement. Our commitment to the Bay Area has given us “The Soul Of The Bay.” We impact the heart and soul of our listeners. 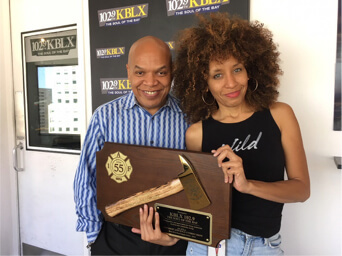 For example, our participation in San Francisco’s MLK Day, creating The Men and Women Of KBLX forums and recently partnering with local agencies in a gun buyback program which collected 400 guns. When hurricane Harvey hit Houston, we pulled our resources together and did a promotion entitled “From the Bay To The Babies” – collecting over 600,000 diapers and baby wipes and sent them immediately to the Houston Diaper bank. What is your greatest challenge as a programmer? With 40-years of proven success, it is crucial that we continue to evolve our brand to sound like we are a music radio station today. Where have you seen other programmers go wrong in their approach to radio? What advantage does have over other stations in the market? Tell us about your Full-time line-up? Morning Drive: The Dream Team-featuring Antoine Davis, Tony Sco. & Kimmie Tee. 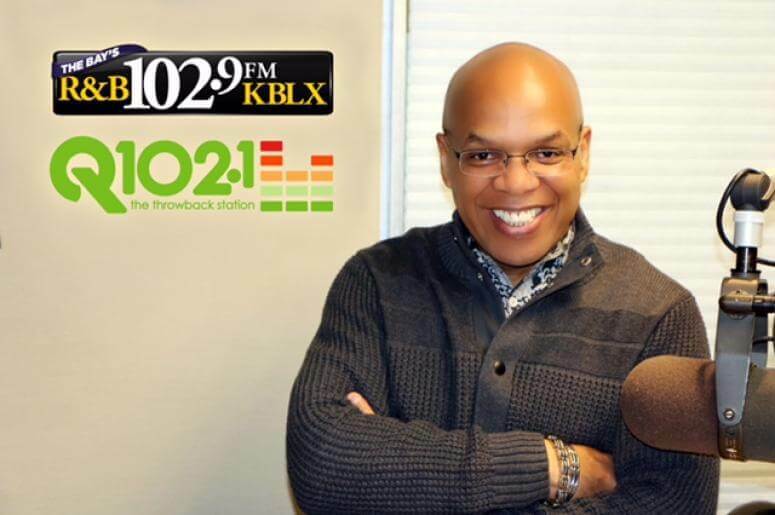 Mid-day: Market Veteran Sterling James, is a mainstay on KBLX. Her vibe is perfect for at work listening. She is informative, warm and pleasant. Afternoon Drive: A Bay Area favorite, Ms. Nikki Thomas. She is a vibrant, fun, positive, upbeat and engaging personality to listen to. Nights: The Quiet Storm hosted by Jefferson Award-winner Armand Carr. This is the perfect show to wind down your day. Antoine Davis, Kimmie Tee and Tony Sco. How does your morning team compete in the market? Antoine Davis, Kimmie Tee and Tony Sco. show is listener interactive, informative & funny. 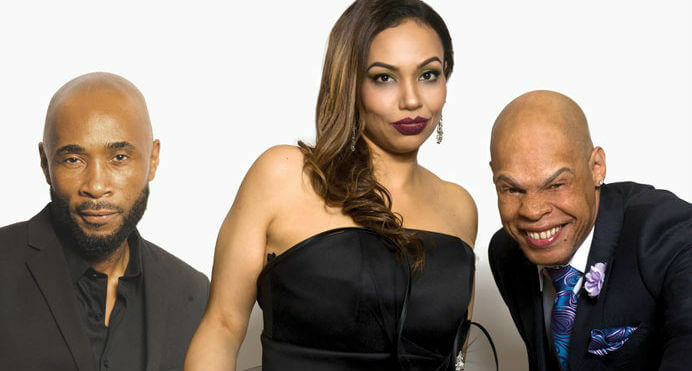 In 2018 this trio was nominated for the Marconi Major Market Personality of the Year, which is rare for a Morning show team. The audience interacts and engages in daily topical discussions important to our community. What does life look like for you after radio? I am like Clive Davis. Retirement is not in my immediate future. I am still enthralled with this business. I give my deepest appreciation to God for allowing me to enjoy the only industry that I love and that is Radio. In addition, I take my hat off all those who have contributed to my career. If I had to list them all, the list would be too long for this interview. Are you serious? Absolutely not! Lol.